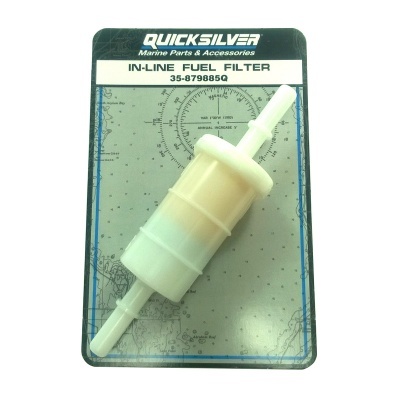 An in-line fuel filter located under cowl on Mercury & Mariner Four Stroke outboard engines. On engines equipped with two filters, one each for the low and high pressure fuel systems, the high pressure filter can only be changed by a Mercury approved service dealer. To discuss the service requirements for your engine, please contact us.